The 1969 Mets were a team that made the impossible possible and the story still is beyond believing 50 years later. 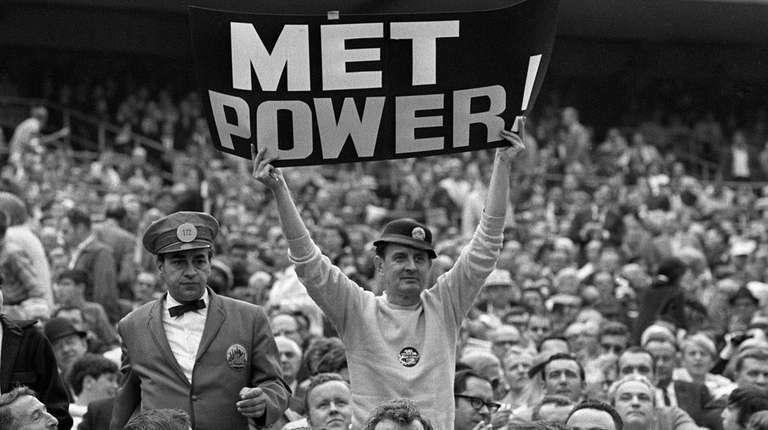 That was the placard held high by Karl Ehrhardt, known as the Sign Man, at Shea Stadium on Oct. 16, 1969. It went up right after leftfielder Cleon Jones caught Davey Johnson’s fly ball and dropped to one knee. Ehrhardt, the late corporate art director from Queens, had a gift for having foreseen just the right phrase for each circumstance, putting it on a sign and hoisting it at precisely the right moment. But the Mets winning the World Series was beyond epigrams. It was beyond explaining or describing. Fifty years later, thousands of words have been written about it, and the surprise still has not worn off. 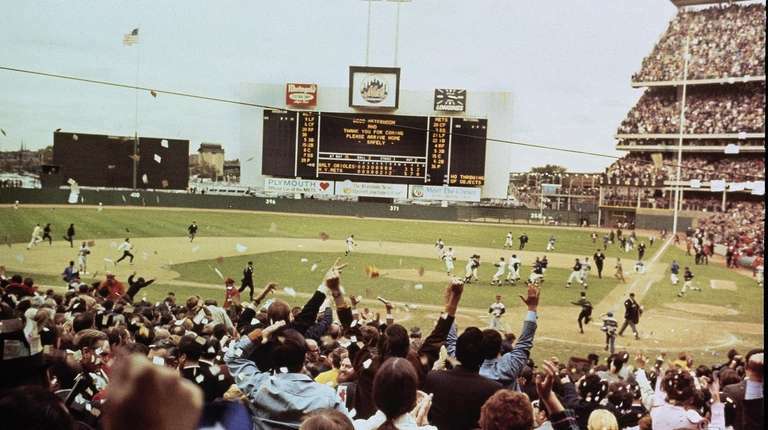 There is a World Series every year (except 1994, when baseball was halted by a strike), but 1969 still stands out as the one hardest to believe or forget. There was not a word to capture how inept the Mets had been since their inception in 1962. They finished last in the 10-team National League all but twice, and on those occasions, they were ninth. Not only were they a losing team, they symbolized losing. In a skit on “The Hollywood Palace’’ TV show in the 1960s, comedian Milton Berle wanted to appear particularly outclassed on stage between Dodgers superstar pitchers Sandy Koufax and Don Drysdale, so he wore a Mets uniform. Then in 1969, all of a sudden, what the Mets really lost was their stumbling reputation. They were over the moon, which one-upped the Apollo 11 astronauts who walked on the lunar surface that very year (the Mets watched in Montreal, ironically, because their plane had broken down). In 1969, it seemed that the world was spinning more quickly than ever. The Jets of the lightly regarded American Football League beat the Baltimore Colts of the established National Football League in the Super Bowl. It also was the year of Woodstock, Chappaquiddick and roiling protests over the Vietnam War. Radical students seized a building at Columbia University. Charles DeGaulle stepped down in France. Arafat and Khadafy came to power in the Middle East. The first artificial heart was implanted. And amid myriad earth-shaking international events, the Quote of the Day in the front section of The New York Times on Oct. 15 was this: “I figure if I can touch a ball, I can hold it.” That was from Mets centerfielder Tommie Agee, who stifled Baltimore Orioles rallies with two amazing catches in Game 3 of the World Series. The ’69 Mets reached the unreachable star, to quote the lyrics from the theme song in a retrospective shown on Channel 9 late that October, and they still are glowing. They will be honored at Citi Field this June during a series against the Braves, the team the Mets beat in the first National League Championship Series 50 years ago. Young people today have heard about Al Weis, the skinny second baseman from Franklin Square who never was much of a threat at the plate but who hit .455 with a clutch home run in that World Series. Kids know about Ron Swoboda, a power hitter who had to work like crazy on his fielding just so manager Gil Hodges wouldn’t take him out for a defensive replacement, etching himself into history by making a diving, game-saving catch against Hall of Famer Brooks Robinson in Game 4. Forever is how long the legend of the 1969 Mets will last. Swoboda, in his new book “Here’s the Catch,” calls the team’s achievement one of the two transcendent sporting triumphs in his lifetime, alongside the 1980 U.S. Olympic hockey gold medal. The Mets franchise was born from heartache and frustration. Fans still were distraught over the fact that the New York Giants and Brooklyn Dodgers had left for California after the 1957 season and were starving for National League baseball. The city was awarded an expansion franchise in 1961 after an aggressive effort spearheaded by high-powered attorney William Shea. Steadily, though, the new team collected young talent. Most notable was Seaver, who arrived through good fortune: His 1966 contract with the Braves was nullified by the commissioner’s office because of a bureaucratic mistake committed by a club in the midst of a move from Milwaukee to Atlanta. 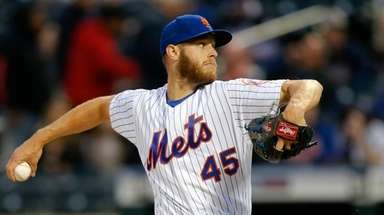 The Mets won a three-team drawing for the University of Southern California star and were on their way. Jerry Koosman, on the phone from his home in Minnesota, recently said, “He said there was one set of rules, and that’s what he went by. And he never let any of us get into a situation we couldn’t handle. 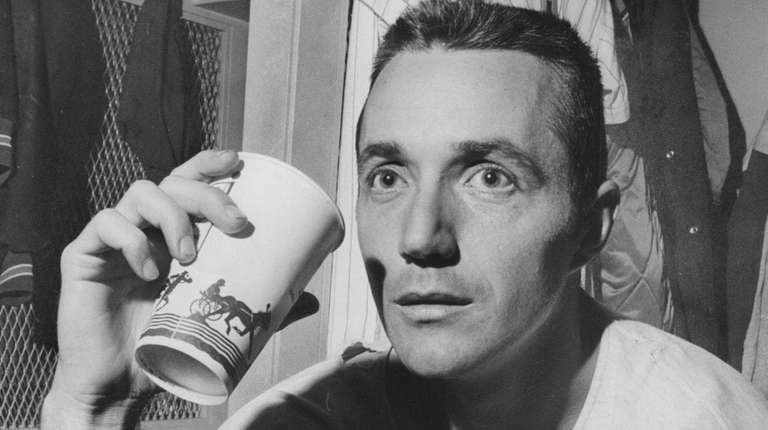 Most important was that, as Kranepool said, “He did anything to win a ballgame.” In Game 5 of the World Series, when the Mets said Jones had been hit in the foot by a low pitch that bounced into the dugout, Hodges hopped off the top step and approached the plate umpire while holding a ball that bore a shoe polish smudge. It ultimately was ruled that the pitch had hit Jones, a pivotal call that helped turn a 3-0 deficit into a 5-3 victory. Who knows if Hodges substituted an old ball or had someone rub polish on the one in play? Either way, the episode is at the heart of the Hodges legacy. Shamsky and his former teammates believe Mets history would have been much different, and significantly better, had the manager not died of a heart attack during spring training of 1972. Major League Baseball lowered the mound before the 1969 season — and the Mets nonetheless raised the art of pitching to new heights. The team’s staff was not daunted by the rule that cut the mound from 15 inches to 10 in an effort to promote offense. Swoboda, in a telephone interview this winter from a Mets fantasy camp in Port St. Lucie, Florida, said there was talk during 1969 spring training about acquiring Joe Torre from the Braves. The thinking was that a righthanded power hitter would accelerate the progress of a team that, in Hodges’ opinion, had the potential to win 85 games. 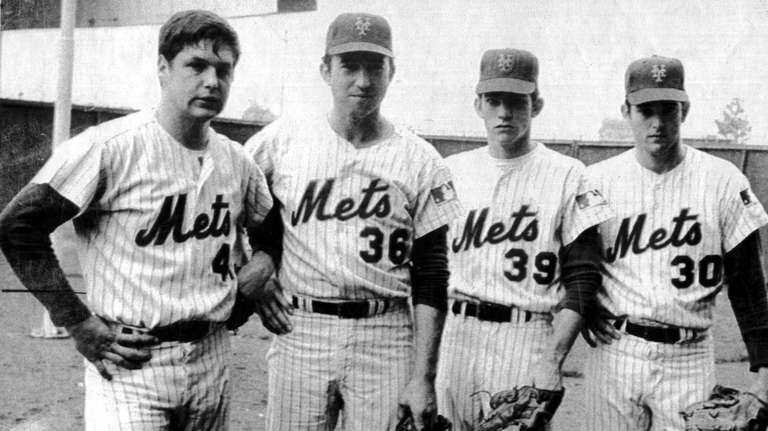 The 1969 Mets were a textbook example of the power of pitching. The club won 100 regular-season games despite a team batting average of .242, eight points lower than the league average. Their home run total, 109, was fourth-lowest in the league. It revolved, of course, around Seaver. He established his credentials as a star and put himself on track for the Hall of Fame, winning the Cy Young Award with a 25-7 record and a 2.21 ERA. He infused the team with competitive drive and burnished indelible memories. Mets pitchers, meanwhile, held the prolific Orioles batters to a .146 average, a record low for a five-game World Series. A power-hitting first baseman remained a need, and it was filled at the trading deadline, June 15. Donn Clendenon had been a reluctant member of the Montreal Expos and the Expos were unhappy that he had refused to report when they traded him to the Astros for Rusty Staub. He was dealt to the Mets in a multi-player transaction that sent pitcher Steve Renko and others to Montreal. A million to one was a cinch for the 1969 Mets. In the bottom of the seventh, with the Mets trailing 3-2, Weis hit a blast over the leftfield fence against Orioles ace Dave McNally. Less than an hour later, champagne was flowing. It was not logic’s finest year. Steve Carlton set a record by striking out 19 Mets but lost on a pair of two-run homers by Swoboda. The Mets won both ends of a doubleheader by 1-0 scores, with the pitcher (Koosman and Don Cardwell) driving in the run each time. A black cat mysteriously appeared from under the stands at Shea to prance in front of the Cubs’ dugout on Sept. 9. A team that got by on scratching out a run here and there thoroughly outslugged the Braves in the NLCS, batting .327 and averaging nine runs. Pitcher Gary Gentry, an .081 batter, hit a two-run double in Game 3 of the World Series. There were glimpses in 1969 of what was and what was to be. The Mets must have been helped by the mere presence of first-base coach Yogi Berra, winner of 10 World Series rings as a Yankee, the person who leaped into Don Larsen’s arms after the 1956 perfect game, the one who shook Roger Maris’ hand after the home run that broke Babe Ruth’s record. Four years later, Berra managed the Mets from last place in August to Game 7 of the World Series. Nolan Ryan, meanwhile, offered a hint of the dominant Hall of Fame pitcher he would become after the Mets traded him in 1971. He still was a raw talent whose claim to fame was having broadcasters Bob Murphy, Lindsey Nelson and Ralph Kiner talk about the pickle brine with which he treated his recurring finger blisters. But there were occasional signs of the future legendary Ryan Express. In Game 3 of the Braves series, he was called in to relieve Gentry in the top of the third with no outs, runners on second and third and the Mets trailing 2-0. Harrelson later recalled hearing Hodges tell his young pitcher, “Well, you’ve been in this situation before . 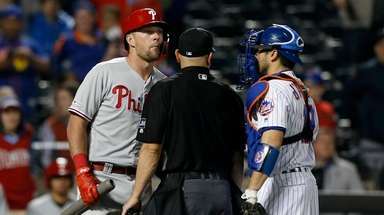 . . ” Ryan got out of the jam, went seven strong innings to support the Mets’ comeback and became the first winning pitcher in an NLCS clincher. Fate was gentle on the teams the 1969 Mets left in their wake. The Cubs, having blown a big league in the National League East, were not berated in Chicago. Instead, as Ron Santo later said, they “became rock stars.” Ernie Banks, Billy Williams, Ferguson Jenkins and Santo all made it to the Hall of Fame. And a Cubs game at Wrigley Field remains quite an occasion to this day. The Braves’ Hank Aaron hit three home runs in the NLCS and went on to break Babe Ruth’s hallowed career home run record five years later. The Orioles bounced back from what then-general manager Frank Cashen called “an avalanche” to win the World Series the next year. Cashen eventually moved to New York and built a championship team at Shea Stadium with Johnson — 17 years removed from the fly ball that landed in Jones’ glove — as his manager. 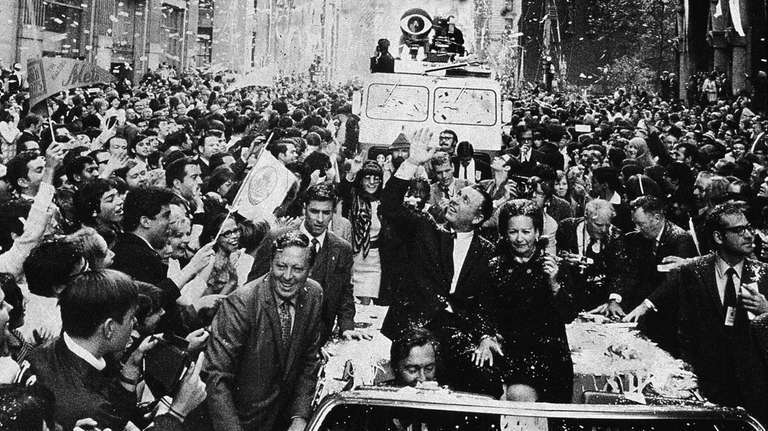 Mets manager Gil Hodges rides in an open-top car and waves during a ticker tape parade to celebrate the Mets' World Series victory over the Baltimore Orioles on Oct. 17, 1969. Photo Credit: GETTY IMAGES/New York Times Co. 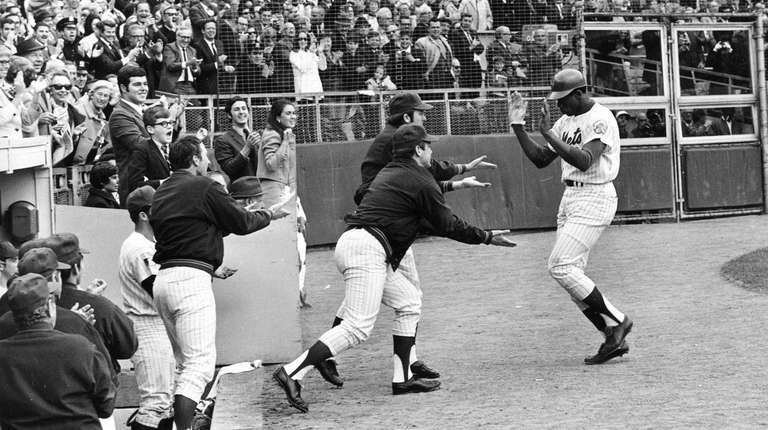 Sadness and heavy reality will have their say when the 1969 Mets gather again this June. 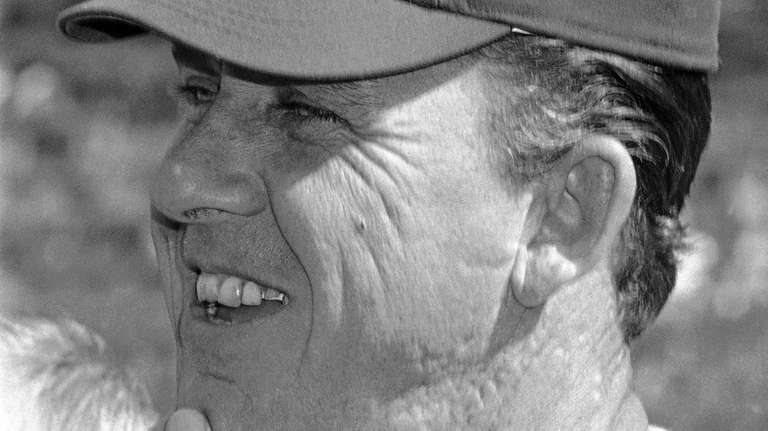 Team members will mourn Agee, Clendenon, Cardwell, Tug McGraw, Ed Charles, Cal Koonce, Hodges, Berra and most of the rest of the coaching staff. 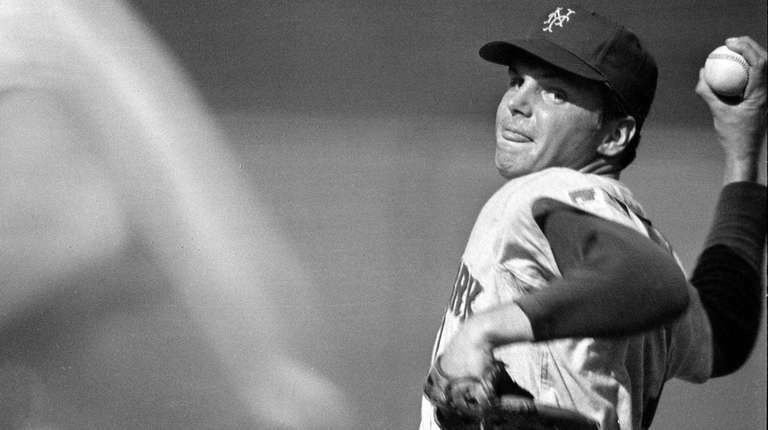 Seaver has dementia and no longer will appear in public, his family announced this month. Harrelson has Alzheimer’s disease. Kranepool needs a kidney. But those who will be able to come back will cherish each other’s company and relish all of the old stories. And they all played their hearts out. Speaking of which . . . There really were words, after all. Soon after the 1969 World Series, the Mets were invited on “The Ed Sullivan Show,’’ then were hired for a three-week run at Caesars Palace, singing the words from the song “(You Gotta Have) Heart.” It was the underdogs’ anthem, the show-stopper from the musical “Damn Yankees,” a baseball fable about a perennial losing team that won it all.